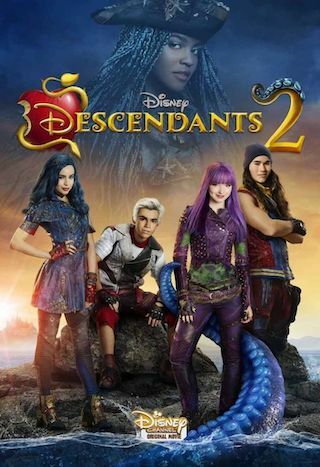 Descendants is an American 120 minute scripted music television series, which kicked off on July 31, 2015, on Disney Channel and is broadcast every Friday at 20:00. The show is currently in its 3th season. Disney Channel is yet to announce the renewal of Descendants for Season 4 as well as its cancelation. Sign up to track down the show's status and its release date. With a knowing wink at traditional fairy tales, Disney's Descendants fuses castles with classrooms to create a contemporary, music-driven story about the challenges adolescent offspring face in living up to parental and peer expectations. With unexpected characterization, plot twists and turns, and dashes of wry humor, the movie is designed to appeal to kids and grownups alike as its story playfully presents the possibilities of what happened after the "happily ever after." Driven by exciting music and performance, the story is set in the idyllic kingdom of Auradon.